Our names are Kurt and Connie, we started ConnKur Model Accessories in 2013. I have been a modeler for 26 years starting back when there were no after market parts to be had. I discovered PRO TECH and have used almost all of their parts. They are easy to use and produce excellent results. They improved my models and made them look more realistic. 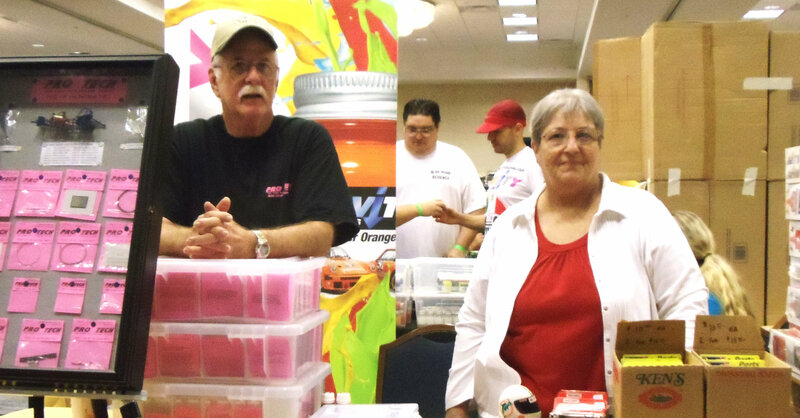 We started as Show Dealers for PRO TECH and have attended IMPS and model cars shows all over the state of Florida. We created ConnKur Model Accessories because we wanted to provide others with the quality parts that I have used and trust. They are products I believe in. We are the only site where a customer can purchase an excellent Pre-Wired Distributor using Pro Tech parts and you will like the results you get from their use. We at ConnKur Model Accessories strive to provide a trusted site for a high quality product at a reasonable price while maintaining fast service and customer service. If you have any questions about any of the products feel free to give us a call (321) 409-8440. Thank you for your interest and support. We look forward to hearing from you!